Seacottage is 92 Kms from Durban ( 45 min ) by car in Mtwalume. Magnificent views of the Ocean You can watch the Dolphins playing in the waves from the comfort of our lounge. Short walk to the beach with a lovely Rock Pool. For Your entertainment we also have a Pool Table, Ping Pong Table and Dart Board. We also have a big undercover Bri area. 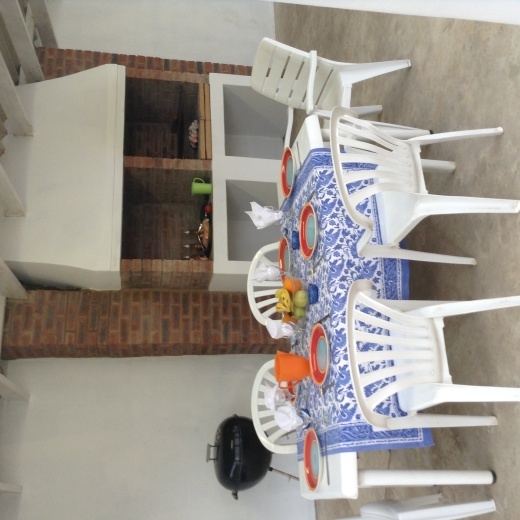 Fully equipped kitchen, and a big dinning area over looking the Sea. Mtwalume is a small village on the South Coast has no restaurants but 6 Kms away there is a bigger village with Supermarket and restaurant . We have the best fishing and also fantastic golf courses. Lots of Bird life. You can walk along the beach for miles and go mussel picking.